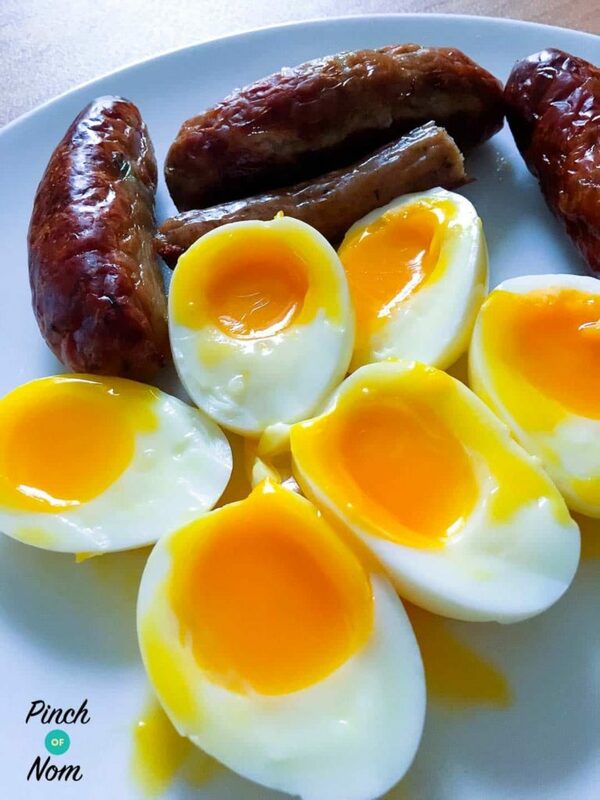 If you’re anything like us you’ll find staying on the Slimming World Extra Easy or SP plan really tricky if you’re having the same food over and over again, so we’ve put together some Slimming World Breakfast ideas! 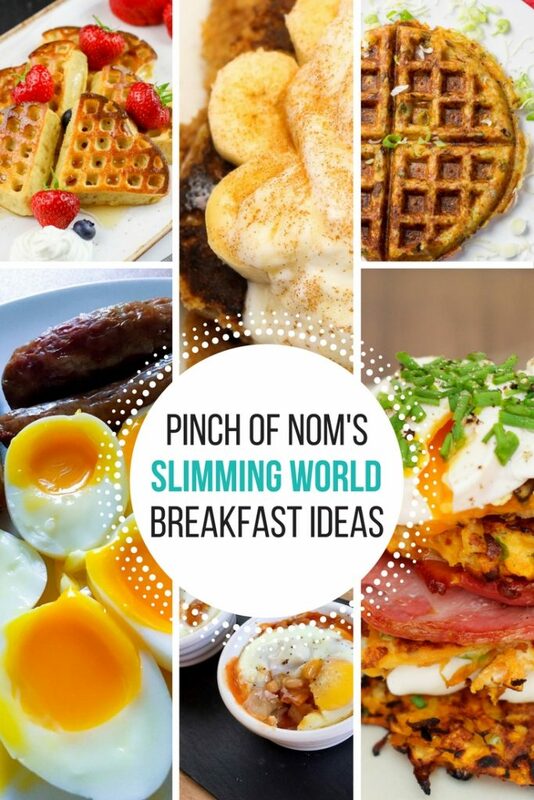 We’re great believers in variety is the spice of like, so if you don’t mix things up and keep it interesting you’ll soon start struggling and fall off the wagon – that’s where these Slimming World Breakfast ideas come in handy! For us, the most difficult meal to vary every day when following Slimming World is probably breakfast. 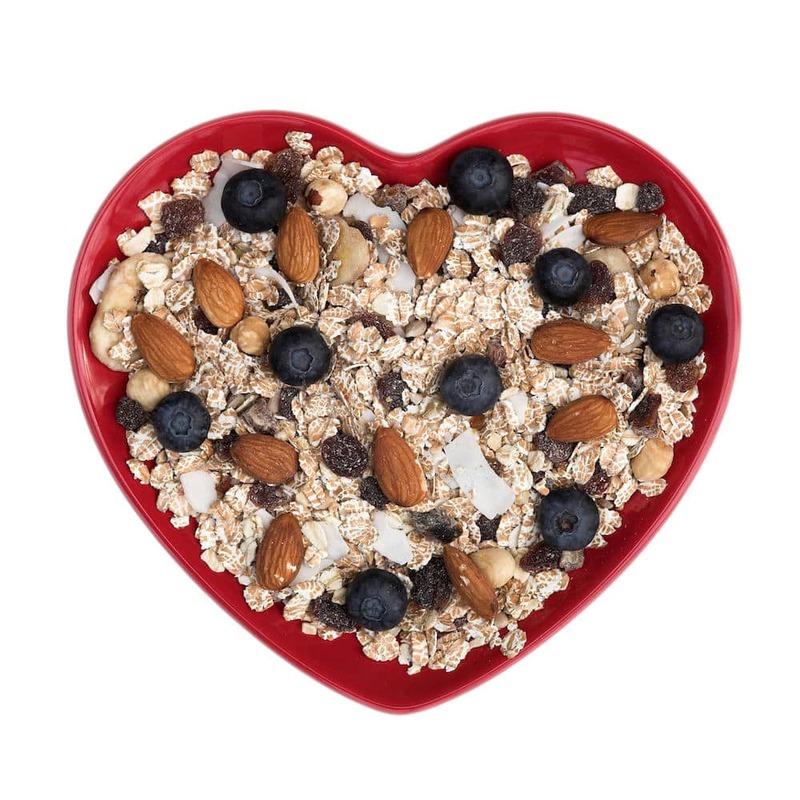 Yes, we all know that there are loads of different cereals that Slimming World has added to the Healthy Extra B options, but what if you don’t like using your HEB and HEA allowance for breakfast so early in the day? I know I don’t like using them up so early, as I tend to use my HEA allowance for milk in drinks, or for cheese, so it’s very rare for me to have cereal for breakfast. Yoghurt and fruit also seem to be a popular option, but for some reason, it never really keeps me full for very long. Anyone that has followed Slimming World will probably understand when I say it’s dangerous when you start to feel hungry between meals so that’s why I think it’s really important to start the day off the right way and have something tasty and filling for an on plan breakfast. We’ve come up with a few Slimming World breakfast ideas to make it a bit easier to stay on plan. 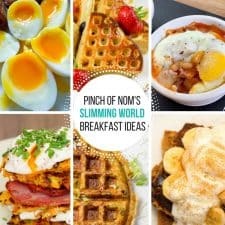 They’re all pretty easy to make, some of these Slimming World breakfast ideas can even be made the night before (or at least partly prepared) and then cooked or reheated at breakfast time if you’re a bit rushed in the morning. Many of these recipes can have extra Speed Foods added to them too, whether it’s fruit or veg. Check out our handy Slimming World Speed Food List and take your pick! These Slimming World Syn Free Breakfast Bakes are a great Slimming World friendly breakfast, brunch or lunch recipe, and they’ve proved to be very popular. They’re really easy to make and soooo filling – no need for any accompaniments so easy on the washing up too! 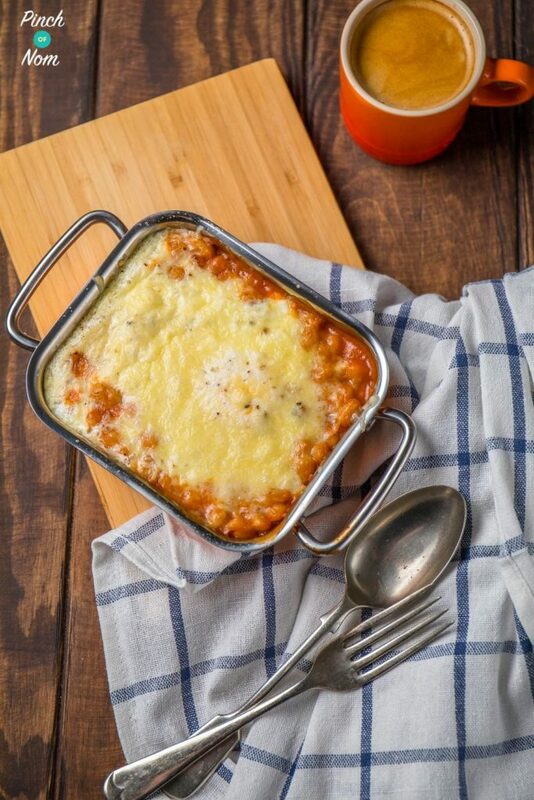 We’ve also got an alternative version with some different breakfast ingredients – take a look at this Syn Free Sausage, Mushroom and Tomato Breakfast Bake recipe! These breakfast bakes can be prepped in advance and popped into the oven with the egg and cheese when you’re ready to eat them, saving you some time on preparing them first thing in the morning. Just be sure to keep them in the fridge! 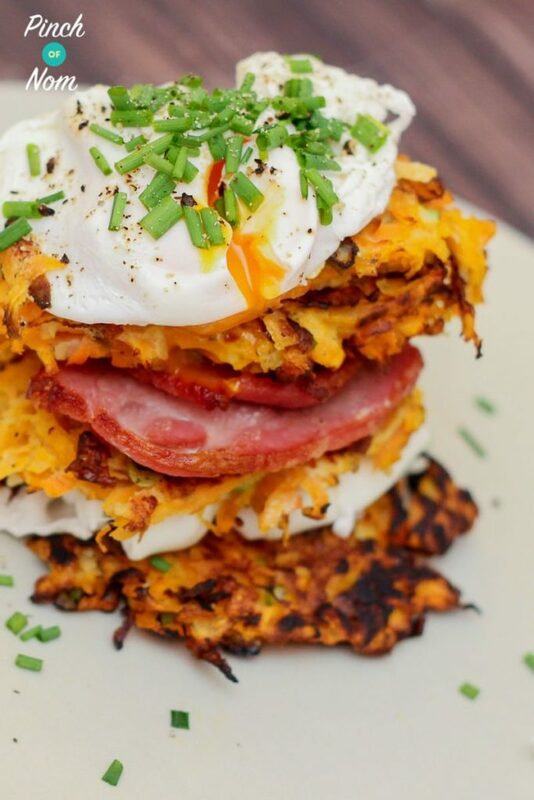 I always find it really difficult to get speed foods into my breakfasts but these Syn Free Sweet Potato and Carrot Rostis are a perfect way! Ideal for the Slimming World Extra Easy plan! These can be made in advance and then reheated, and would make a great brunch dish. You even serve them with smoked salmon or kippers if you fancied something different! 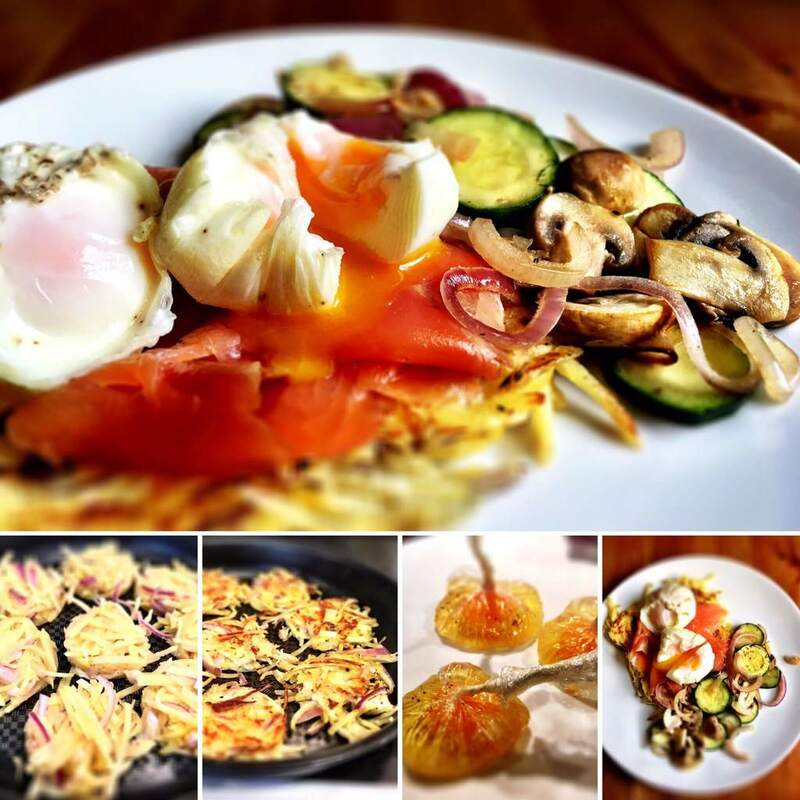 If you love a potato rosti, then this Syn Free Smoked Salmon, Potato Rosti and Poached Eggs recipe will also be right up your street! Perfect for breakfast, brunch or even lunch, you won’t believe they’re Syn Free! 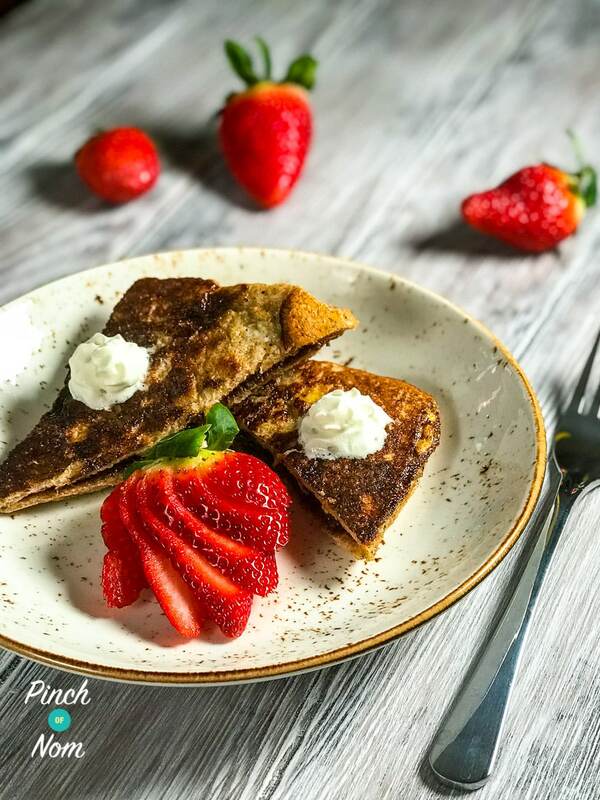 This Syn Free French Toast totally indulgent, sweet and, well, amazing! And it’s easier than you think to make a Slimming World syn free version of a perfect weekend breakfast dish. You could serve this with any fruit you fancied – raspberries or strawberries would be tasty too, or even some frozen fruit. Top with fat free yoghurt, aerosol cream or just some maple syrup. 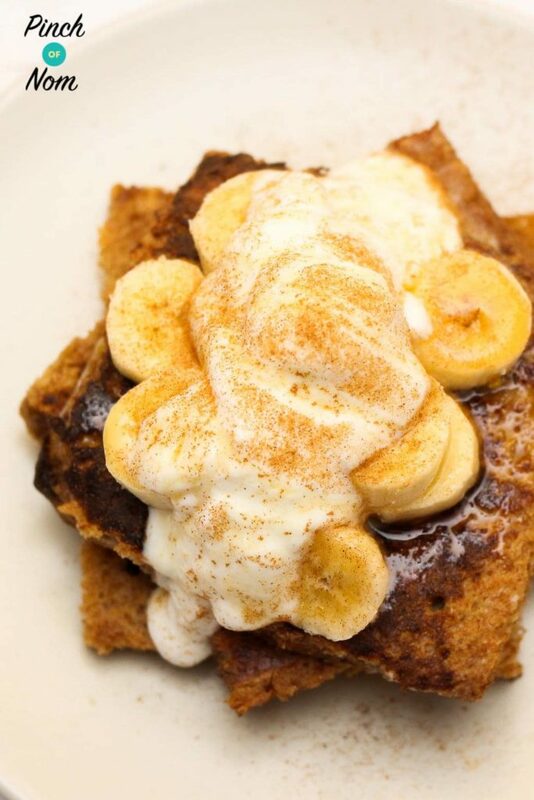 If you prefer a chocolatey breakfast hit, then why not try our Low Syn Chocolate French Toast? It’s a really rich, breakfast treat – any chocolate lover would enjoy it! You could even substitute the chocolate in this recipe for some jam if you preferred! Just remember to adjust the Syns if you alter any of the ingredients. Boiled eggs aren’t just for breakfast! 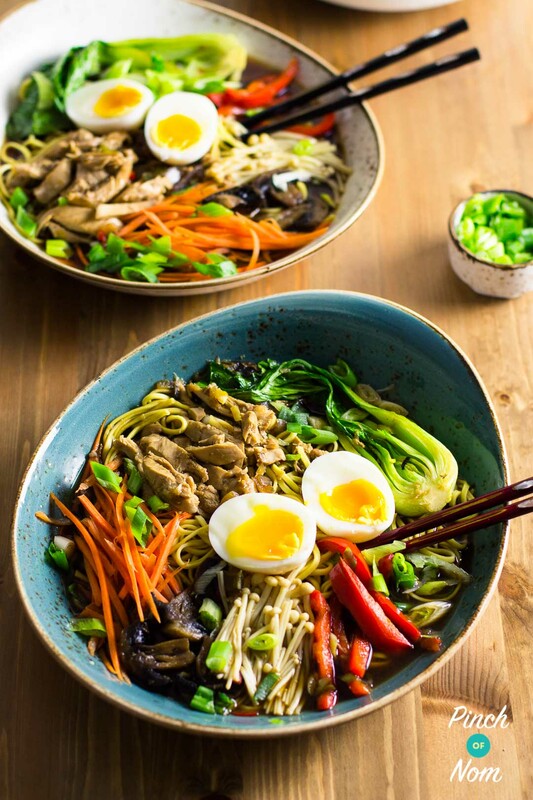 Why not try them in this Syn Free Ramen Noodle Bowls recipe? 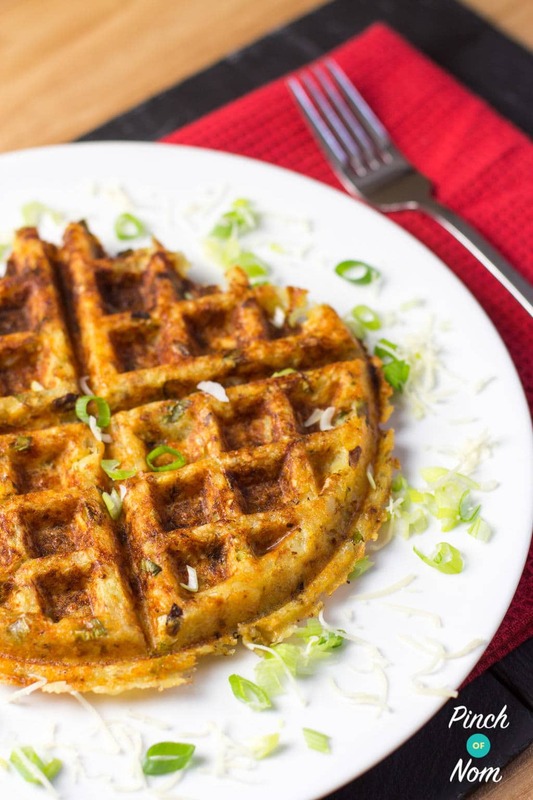 Waffles, whether sweet or savoury make the perfect breakfast and these Syn Free Onion and Chive Waffles can be served with whatever you want. Why not try them with some smoked salmon and soft boiled eggs or some sausages, bacon and beans. 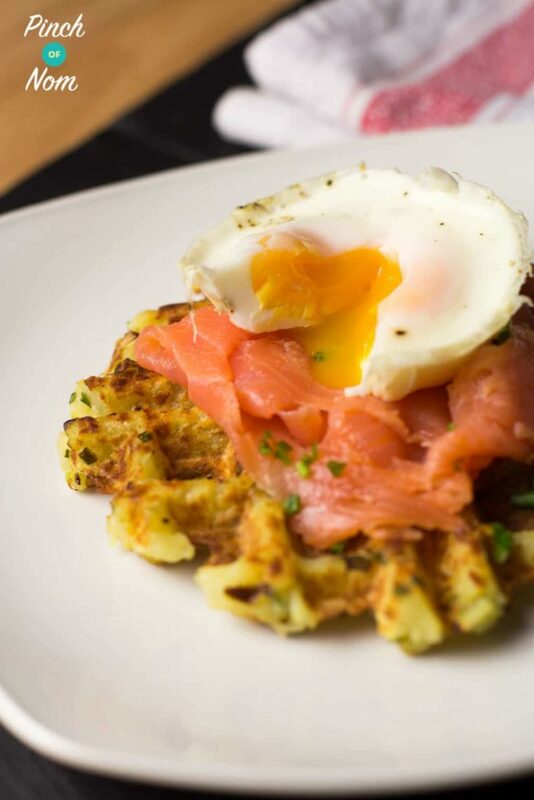 We’ve also got these deeeelish 1 Syn Potato, Cheese and Onion Waffles – great for breakfast but also as an accompaniment to any meal! You can serve these waffles with bacon and baked beans, or tomatoes and mushrooms, but they’d also be really tasty as part of an evening meal with a steak or chicken! They’d be great to dunk into soup too as a substitute for bread. These Syn Free Strawberry & Vanilla Waffles are a fab Slimming World breakfast idea. It’s a great way to start the day with super speed fruit too! We’ve got loads of waffle recipes for you to try. 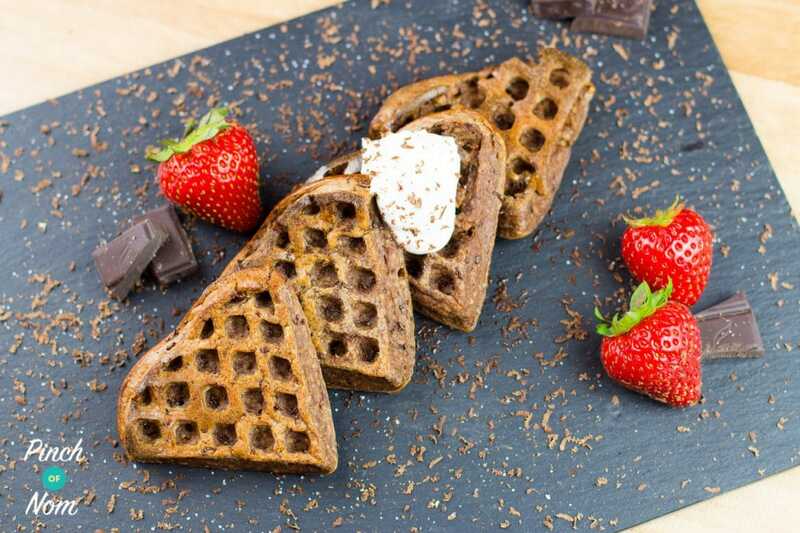 Why not give these 1 Syn Chocolate Waffles a go? Chocolate for breakfast?! Don’t mind if I do! 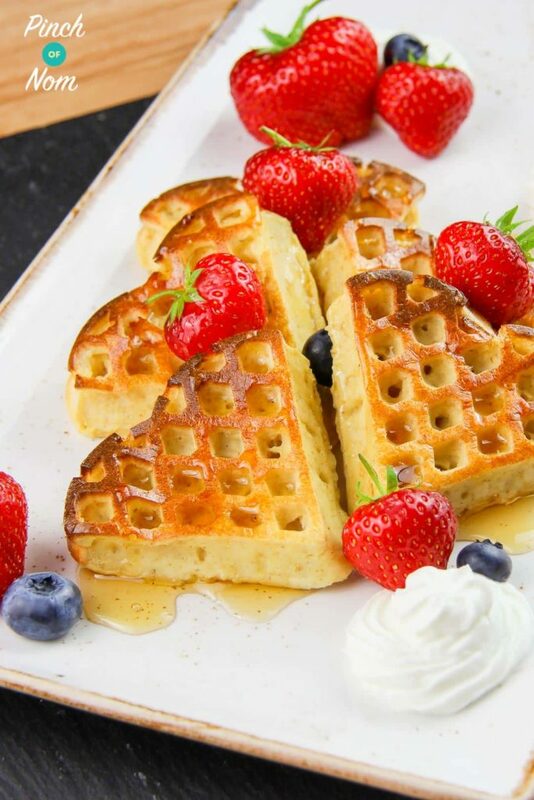 You can serve these sweet waffles with so many different things – any sort of fruit works well, but also fat free yoghurt, a squirt of aerosol cream, a drizzle of choc shot or fruit syrup…have an experiment and find something you love! Want more Slimming World Breakfast Ideas? You’d be very welcome, Paula! Follow this link and click ‘Request to join’, answer a couple of quick questions and your request will go through to the team for approval in due course! These look amazing! However I’m getting stuck…. I cant stomach milk (or milk alternatives) and I hate eggs!!! Slimming World have guidelines for diabetics, so it may be worth having a chat to your consultant if you go or are planning on going to group. There’s also some useful articles on the SW website if you have access. You should always check with your diabetic nurse specialist or healthcare professional.